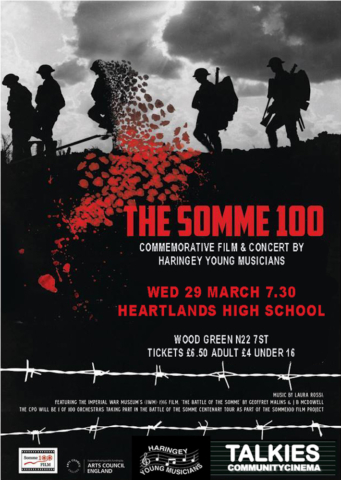 Talkies in partnership with Haringey Young Musicians and Heartlands High School are proud to present one of 100 international screenings of the original 1916 film with live orchestral score to mark the 100th anniversary of the Battle of the Somme. 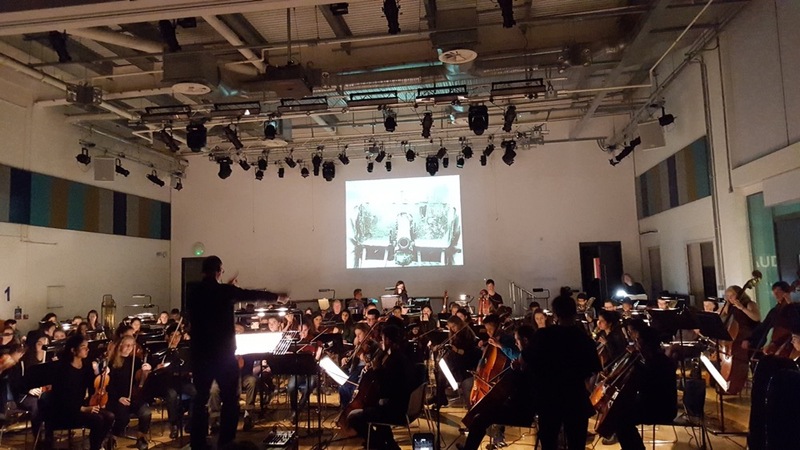 Laura Rossi, the composer of the new score will introduce the film and music. The event launches a period of creative responses, from Haringey’s young musicians in different schools, to the score by Laura Rossi. 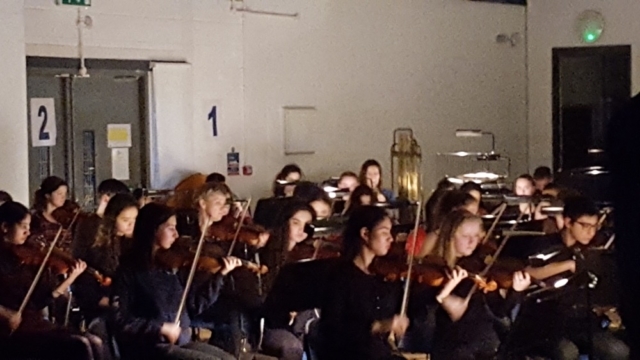 This was a sold out performance with a pre-concert talk by composer Laura Rossi. As well as the Somme film the orchestra also performed Dvorak – Carnival Overture, Rutter – Suite Lyrique and Kabalevsky – Cello Concerto in Gm.